Visualizers have been used successfully as a diagnostic tool by brass teachers since the 1920's. Our approach with the ATV goes far beyond visual diagnostics, providing an advanced, high-intensity Isotonic workout and low-intensity exercises to develop a relaxed aperture for greatly improved tone in the lower and middle registers. The objective is simple: To create a strong vibrant buzz across the entire width of the aperture (rim to rim). The ATV provides an unadulterated raw assessment of the state of your buzz and becomes the ideal tool for making improvements in that area. The results are stunning: In addition to muscle conditioning, the ATV will help you learn to maximize the quality of your buzz in the lower, middle, and upper registers - which will translate into very substantial results when playing your trumpet. Is suitable for use by all players. Don't let the "Advanced" part scare you away - the low-intensity buzz improvement exercises are well suited for ALL players! 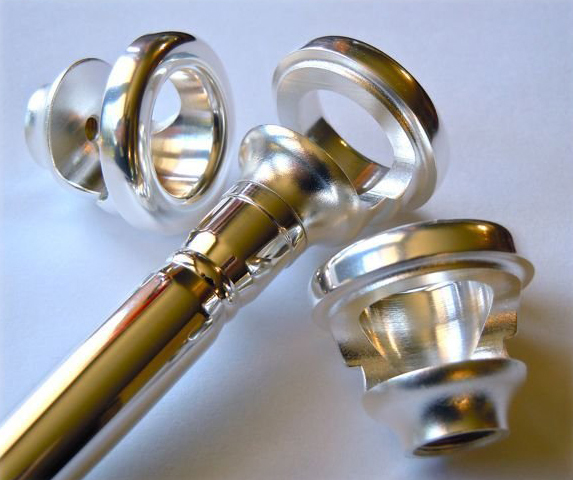 Is available in all Warburton rim sizes to match your mouthpiece diameter. See the full instructions for use.